Strolling along a sandy beach or through a sun-dappled forest are two of life’s simple pleasures that many of us take for granted. For those confined to wheelchairs, spending time in nature — or even traversing a particularly uneven street — can be difficult or impossible to accomplish, especially without assistance. That’s why Tim Swenson, owner of Action Manufacturing, decided to make a difference. 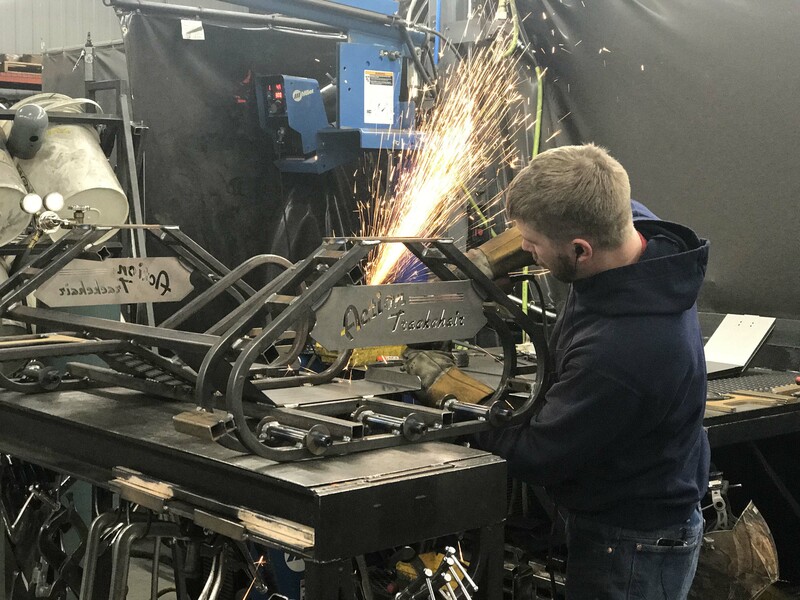 After his then 16-year-old son, Jeff, was paralyzed in an accident in 1998, he took his son’s mobility challenges into his own hands by designing a chair that employs tracks instead of wheels to deliver the ultimate in transportation. That unique product was the prototype for Action Manufacturing’s Action Trackchair, an option virtually nonexistent until Swenson’s innovation was introduced to the market in 2009. 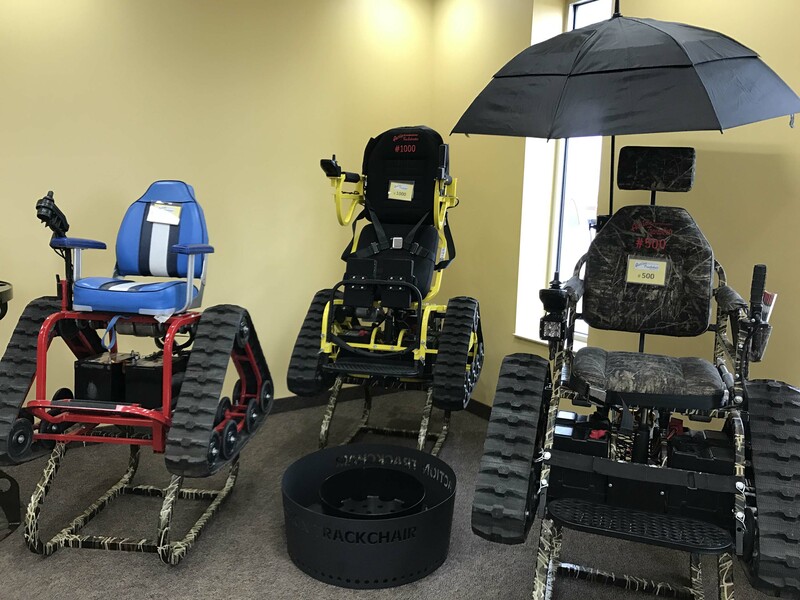 Swenson is quick to note that, while the Action Trackchair appeals to those who long for the recreational mobility that they once had or were never able to experience, the chair is also attractive to disabled farmers and others with occupations that demand some level of physicality. The innovation is likewize a hit with small children, disabled veterans and amputees from all over the world. Swenson recently shipped a chair to a disabled girl in Kenya, who will drive it with her chin. Available in 16 different models, each chair is custom and made-to-order. “We figure out what size you need, what colors you want, right or left controls, and there are many different accessories you can put on,” Swenson says. 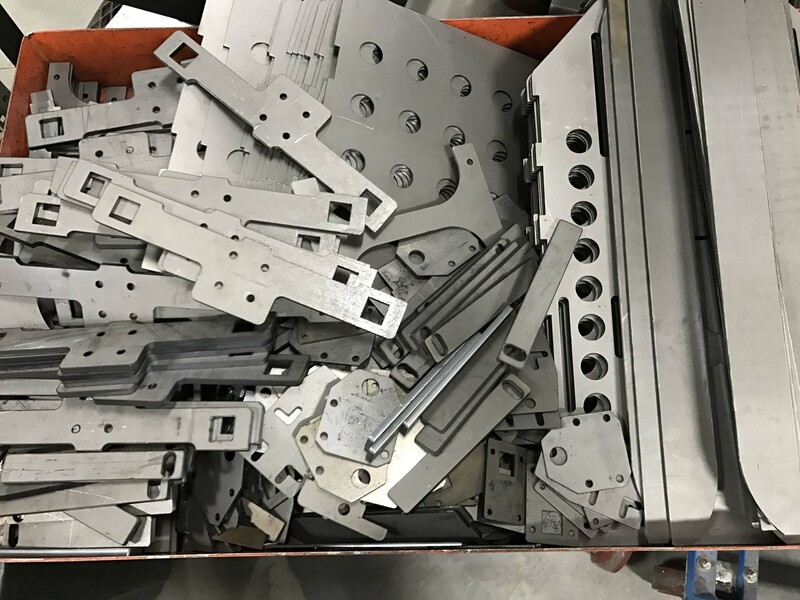 To manufacture its range of custom-tracked machinery, Action Manufacturing has used the Radan sheet-metal computer-aided-manufacturing (CAM) solution, by Vero Software, since January of 2016. Swenson was introduced to Radan when he acquired a Mazak CO2 laser, which was equipped with the software. To program parts in Radan, Darren Nelson, director of fabrication and research and development for Action Manufacturing, creates solid models in the SOLIDWORKS® computer-aided-design (CAD) system, by Dassault Systèmes. The solid models are then seamlessly imported into Radan, where CNC toolpath is applied. The Action Manufacturing team is pleased to have a CAM system that pairs seamlessly with SOLIDWORKS, which was implemented in 2015. Available in Radbend, a Radan product for programming press brakes, is a SOLIDWORKS plugin that helps users streamline and maximize interoperability between the two solutions. The Radbend plug-in allows users to click on the Radbend icon within the SOLIDWORKS interface to easily transfer drawings and associated files into Radbend. “Radbend can import assemblies from SOLIDWORKS and prepare flat patterns that are ready for the laser,” Nelson says. Nelson uses Radbend to program parts for the company’s press brake, which is not equipped with a CNC control. 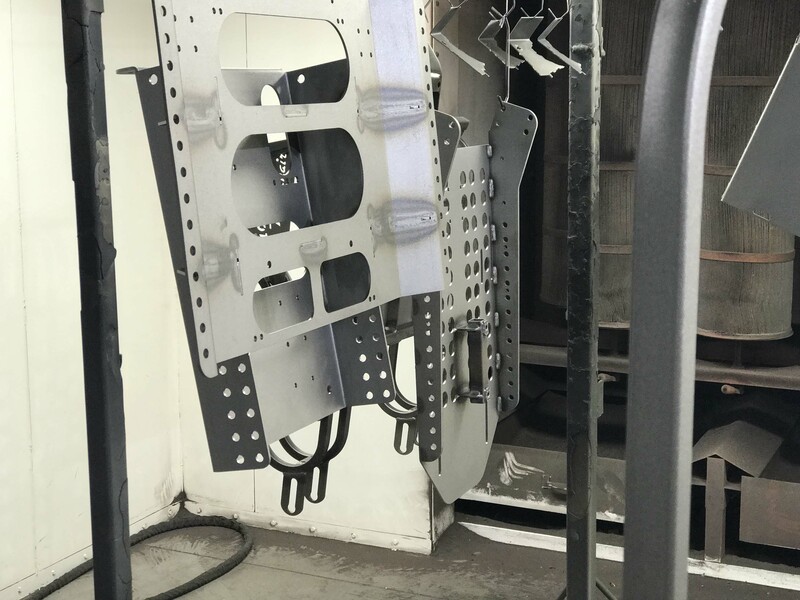 However, Action Manufacturing plans to install a CNC press brake, as well as another CNC laser, as part of its ongoing expansion. Nelson credits Radan and Radbend for helping the shop to boost overall efficiency and accuracy while reducing scrap. The shop plans to eliminate paper on the shop floor, which today is used by operators following bending programs output by Radbend. 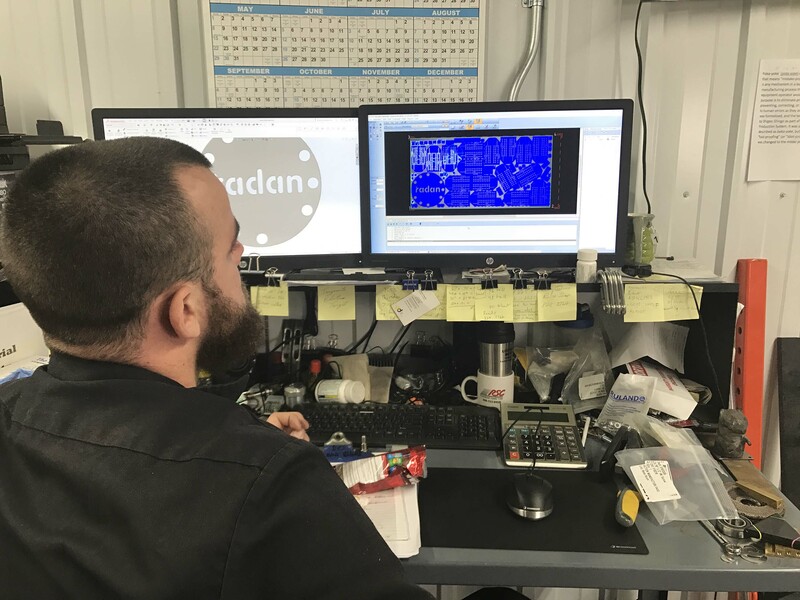 The implementation of Radan has cemented the company’s ability to manufacture precision parts with extremely tight tolerances for the ultimate in performance. “Idiot proof” manufacturing, which includes a reduction in handling and increase in overall flexibility, reduces stress when it comes to day-to-day processes and makes programming “oddball parts” simpler than ever before. 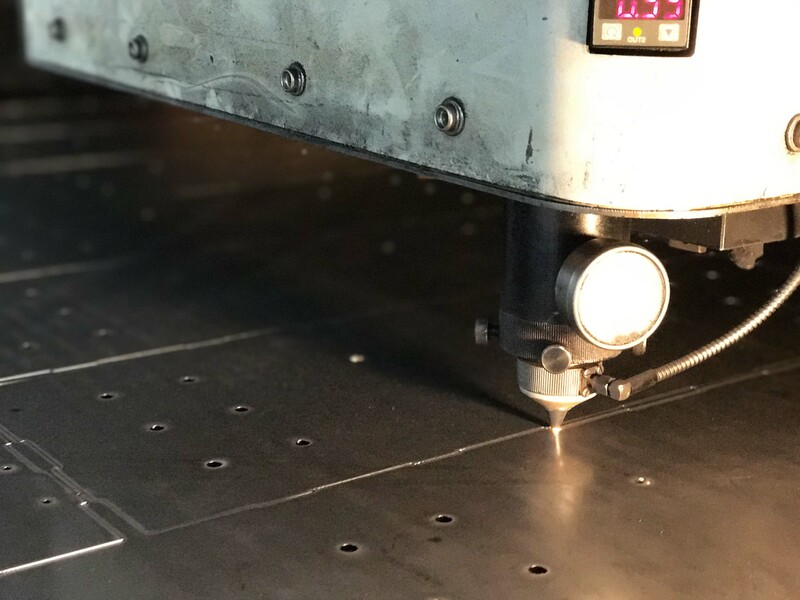 “With the software and the laser, we can build much more accurately, and that has eliminated a massive amount of time and waste for prototyping and manufacturing,” Nelson says. Designed initially to help one young man experience life to the fullest, the Action Trackchair has paved the way for further innovation from Action Manufacturing. The company’s expanding product line also includes an ActionTrack porter, for transporting deceased livestock, and a line of robots. 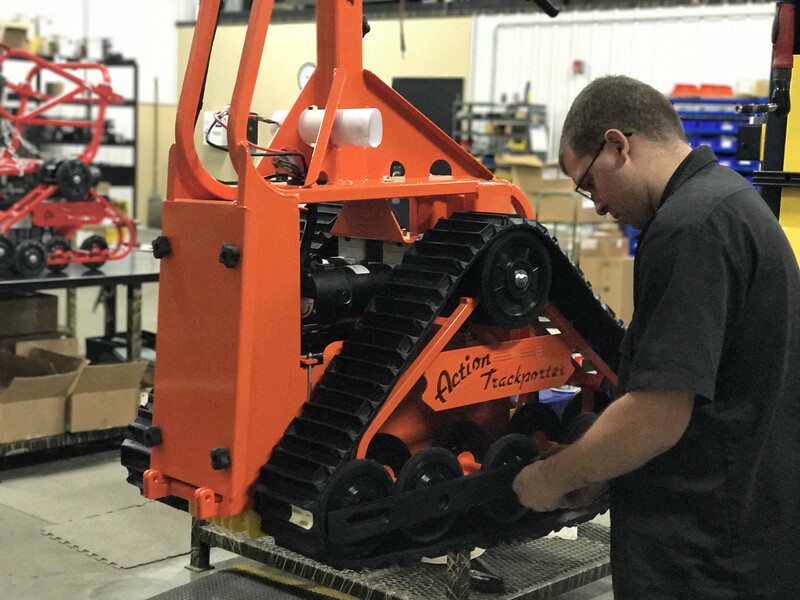 The company has also added 12,000 square feet of building space, which will be greatly needed as it continues to expand its line of products and the machinery needed to make them.